Ninnu Kori, starring Nani, Aadhi and Nivetha Thomas in lead roles, is getting ready for its release tomorrow (7th July). Rana Daggubati, who has apparently seen the film, took to Twitter to register his views on the film. He tweeted, "Saw a beautiful film with some exceptional performers #NinnuKori @NameisNani @i_nivethathomas @AadhiOfficial. So happy and proud that I'm working in a time of such brilliant people #NinnuKori @NameisNani @i_nivethathomas @AadhiOfficial. 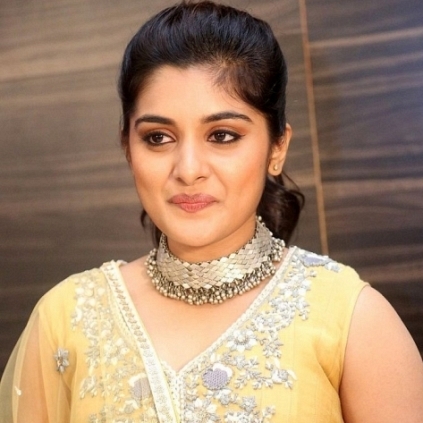 "A storyteller doesn't find the story it's the story that finds them" @i_nivethathomas you are Telugu cinema's best find in recent times." However, Ninnu Kori will not be releasing in Tamil Nadu, on Friday (7th July), as the theatres here, have been closed. People looking for online information on Nani, NINNU KORI, Nivetha Thomas, Rana Daggubati will find this news story useful.